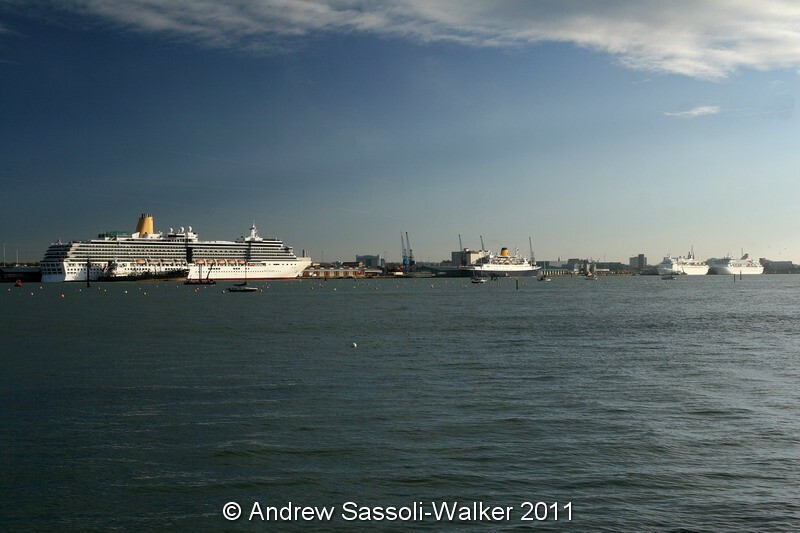 Following on from my last post, I learned that Andrew Sassoli-Walker had taken a number of pictures in Southampton on Wednesday and had posted them in his gallery on Cruise Page. This image shows four of the ships – Arcadia nearest the camera, then Saga Ruby, Black Watch and Balmoral. Here’s a link to the full set, which includes one that shows all six ships. Andrew has been kind enough to let me include his pictures in this blog in the past, and once again I’m grateful to him.